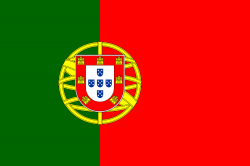 It was created the Portuguese Cartilage Study Group (G.E.C.A.) The Portuguese Cartilage Study Group – Prevention and Treatment of Osteoarthritis (G.E.C.A.) was officially created at SPOT’s (Portuguese Society of Orthopaedics and Traumatology) Board Meeting, presided by Dr. Jorge Seabra, on December 21st 2007. The high incidence of the lesions of the articular cartilage, associated to the soaring rise of life expectancy of our population, has put the accent on osteoarthritis, which constitutes a true plague. The human suffering, the musculoskeletal disability and the social costs are very high. Hence, this problem should be a concern of the Governmental and Health entities, in general, of the orthopaedic surgeons in particular. Unfortunately, regarding the treatment of the cartilage, the scientific advances do not happen as fast as we would like them to. The orthopaedic surgeon should not be the last resort, being the treatment almost exclusively the replacement of the joint for an implant. He has to take the leading role in the first, second and third stages of osteoarthritis prevention, and should perceive the cartilage and its pathology as an object of his concern and correct practice. I had the honor of presiding the organization of the 1st International Consensus Meeting – New horizons in cell and tissue banking, in May 2007, which had the significant sponsorship of the European Tissue Bank Association, American Association of Tissue Banks and the Asian Pacific Association of Surgical Tissue Banks. We also had the presence of several Portuguese organizations such as the Portuguese Society of Orthopaedics and Traumatology, the Portuguese Knee Society and others. This event was fundamental for the realization of the potential of regenerative medicine. The V Meeting of the Portuguese Knee Society – Articular Cartilage, held in October 2008, was the first step towards the formation of this Study Group. I would like to highlight the important role of Prof. Jiri Adler, as he developed amongst us the concepts of cell culture grafts and tissue engineering in Orthopaedics, supported by several individuals, such as Professors Fernando Judas and Fernando Fonseca. The comparison to the seed and the soil is perfect for this, as the seeds have been sowed and the quality of our orthopaedic community is excellent. It is my great honor to coordinate this Group formed by several different experts. I hope we have the skill and competence to fulfill the goals we have set. We believe that this Group will play a very important role in the Portuguese orthopaedic community, as agglutinant and consensus generator entity, we invite all SPOT members to actively participate in the evolution of this Study Group. With the support of each one, we will be able to give a significant contribution to the enhancement of the prestige of our Society. Dr. Alberto Lemos, Dr. Bordalo Amado, Prof. Dr. Fernando Fonseca, Prof. Dr. Fernando Judas, Dr. Ferreira da Cruz, Dr. João Salgueiro, Dr. Joaquim Lebre, Dr. Jorge Fonseca, Dr. Jorge Lopes, Dr. José Granate, Dr. José Parra, Dr. Luís Amaral, Dr. Luís Ricciardi, Dr. Mário Beça, Dr. Nuno Mascarenhas, Dr. Paulo Abrantes, Dr. Pedro Afonso, Dr. Ramiro Fidalgo, Dr. Roxo Neves, Dr. Viana Queiroz.